EUR/USD, easy come, easy go! 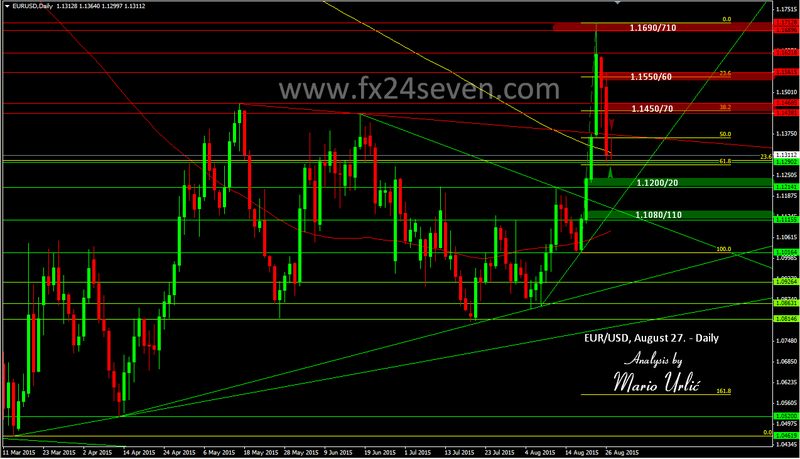 EUR/USD has fall to 1.1300 and it has erased 61.8% of the 1.1020 > 1.1715 gain, easy with not much support yesterday. Previous strong monthly resistance at 1.1420/70 fall easy in Monday, but the US dollar bulls has return that level back. Well, the 1.1280/300 hold for now, as you can see, there is 23.6 fibo as well, the level from huge EUR/USD 9 months fall, which has covered for several times in the last couple of months. Daily MA200 is broken on the way back down as well, trendline hold on the way up, daily MA200… I looks like that the 1.1200 could be reached too, the US dollar bulls want’s it all, or!? Where are the buyers? US GDP is coming up today at 12:30 h (GMT), be careful!